There is simply no place like Washington, D.C. for sightseeing. You could visit year after year and still not see all the fascinating exhibits at the nearly 70 museums — most of which taxpayers will be happy to learn are free. As much as you may disagree over current politics, you still can't help getting goose bumps on a visit to the White House or the Capitol. Hundreds of years of history are meticulously preserved within these confines. And there is no disagreement about the beauty of the nation's capital, which at its heart is dominated by the wide expanse of grass that is the National Mall, lined with some of the best museums and most breathtaking memorials in the world. The city's ethnic and international diversity also gives it a cosmopolitan feel that is best experienced in the various neighborhoods. 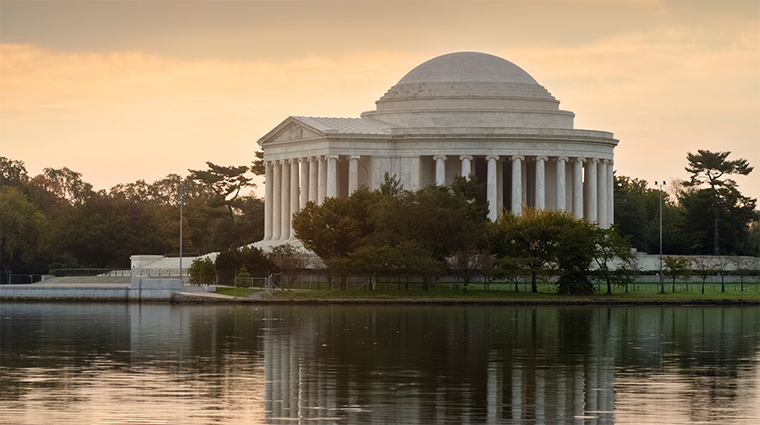 Beyond Washington, D.C. is the beautiful state of Virginia, with its capital city, Richmond, within a two-hour drive. With a history stretching back 400 years, Richmond blends its heritage with vibrant, contemporary commerce and trade. Its location, equidistant from the plantations of Tidewater Virginia and the Piedmont of central Virginia, gives the city a unique mix of heritage, culture and geography. This city now proudly exemplifies the modern South: industrially aggressive yet culturally aware, respectful of its own historical background yet receptive to new trends in architecture and modes of living. How To Have A Sustainable Stay In Washington, D.C.
5 Easy Escapes From Washington, D.C.